Eating healthy is a challenge for families with limited income. Fresh produce can be costly. The U.S. government, through the Food and Drug Administration (FDA), has just approved a plan that will help low-income families get fresh produce for free. Low-income families in the Kansas City area who are receiving food stamps, or Supplemental Nutrition Assistance Program (SNAP) benefits, can now use their SNAP card to earn money towards purchasing produce at local farm markets. They can earn 15 to 25 dollars in double-up bucks they can spend on local fruits and vegetables. The new program was made possible through a USDA grant that was funded by the government as well as private foundations. Currently, there are 40 participating farmers' markets in the area, most of them in the Kansas City metro area. The program is so popular with local residents, however, that the growth with other farmers' markets and other participants are expected to triple in size within the next few years. 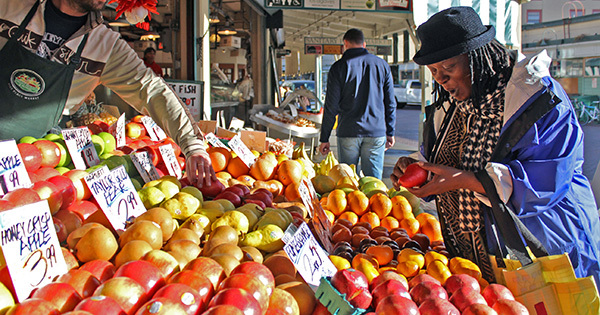 The program is already starting to spread in other cities and states where SNAP benefits can be used at other farmers' markets!